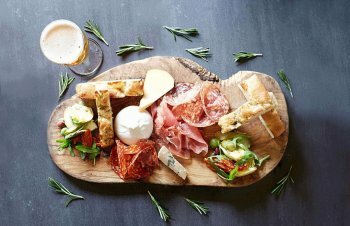 Gusto have 18 Italian styled restaurants across the United Kingdom. Unlike many food chains Gusto offer traditional Italian Food with a twist. Made from high quality ingredients which are delivered to each branch on a daily basis. Their staff are welcoming and enthusiast front of house and the in the kitchen you will find talented and inspired chefs from throughout the EU. There is a Dinner Club available in all branches which offers a discount of 20% on booking and various seasonal offers, making a high end restaurant experience no more costly than a simple takeaway. But if you prefer to eat at home, they do also offer a delivery service! So get the cutlery out and wait for the chap on a bike to bring your pipping hot and freshly made meal! In an Internet world where sites like Trip Advisor are used by keyboard warriors this is high praise indeed! 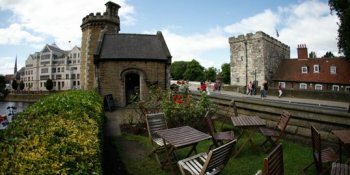 “Come rain or shine, our cosy eatery and garden area will be full of guests enjoying a drink, lunch or a treat or two (hot water bottles and blankets provided in the garden area). 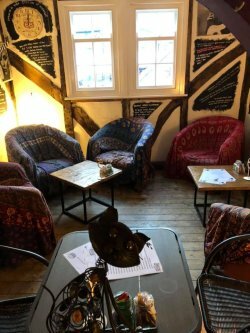 Circles Café ltd offer a number of discounts in association with local and national businesses and are available for private hire. They offer a comprehensive food menu and are fully licensed. Whether you are looking for a venue to celebrate a birthday, special occasion or a corporate event, Circles offers the perfect location, along with commanding views. Legend has it that the original York Hams were smoked with wood shavings left from the construction of The Minster. It's a nice tale but probably nothing more than that. There almost certainly is a link to St. Mary's Abbey in medieval times however. The monks produced vast quantities of Ale which was the drink of choice especially when water might well make you ill at the least, or kill you in extreme cases. The bi-products of brewing were large amounts of spent grain, which are ideal pig fodder. The local availability of large white pigs probably went hand in hand with this food source. 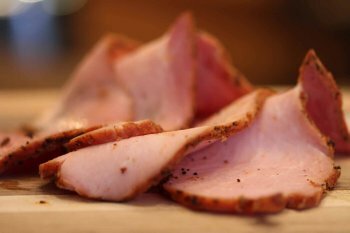 Although York Ham doesn't have protected designation of origin status there is a distinct difference from the inferior modern ham pressed from reformed Pork. Firstly it in not technically a Ham but rather a Gammon. The difference is that Ham is cured with the bone removed, whereas Gammon is cured with the bone in. The base ingredients for a York Ham are a good sized leg of Pork, Salt with Sugar and Saltpetre. The York ham is traditionally a dry cured Gammon from a Large White pig. It is slightly saltier and firmer textured than the hams we are probably used to today. They were laid on a bed of salt in the cellar on the stone slabs where it is cool and dry. November 11th – St Martins Day, was traditionally the first day of curing, as the weather is cooler, the pigs have been foraging and are now fat, and the flies are no longer an issue, so there was a good chance that ham and bacon would cure well. After a number of days in the salt, being turned and massaged regularly, they would then be hung up to dry for a minimum of 2 months. The longer the ageing process, the more the flavour changed and developed. "Mister C’s first opened in 1981 on Barlby Road, Selby, North Yorkshire in 1986, before moving to our present location on Micklegate We are a family-run business and still use the same batter recipe we used on the day we opened, 35 years ago. We believe in using only the highest quality ingredients, which come fresh from the sea and straight from the soil. We use only MSC certified cod and haddock. Our Icelandic fish is fresh frozen, having been frozen within four hours of being caught. We serve our fish alongside the finest potatoes Yorkshire and Lincolnshire have to offer, resulting in our award-winning fish and chips." Well they are clearly not only doing something right, but excelling at it! Mister's has recently been awarded in the Top 10 of the National Fish & Chip Awards by SeaFish. 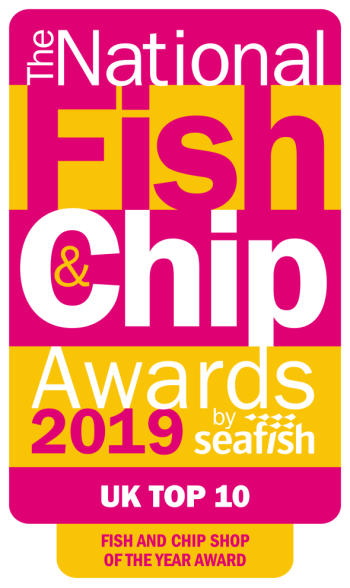 Fish and Chip Shop of the year for 2019. That's some achievement out of all the Fish & Chip shops in the UK.